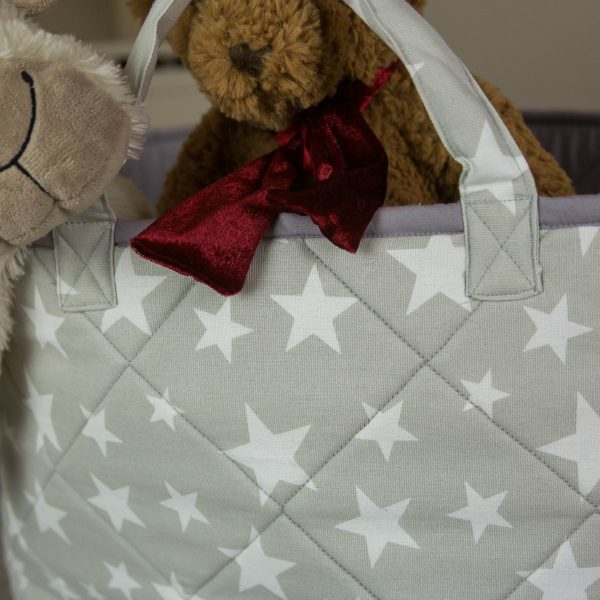 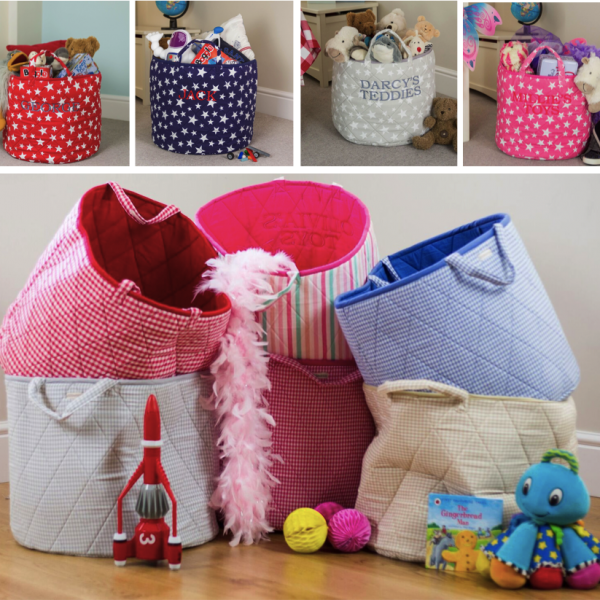 A stylish yet practical cotton quilted children’s toy storage basket. 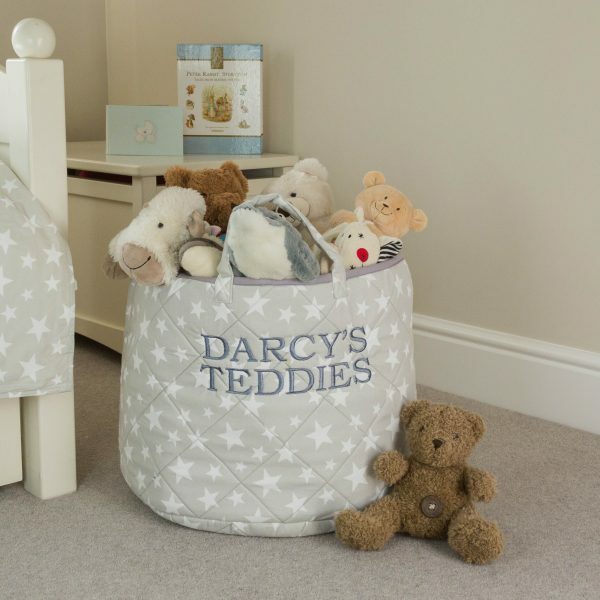 Large enough to keep things tidy and clutter free. 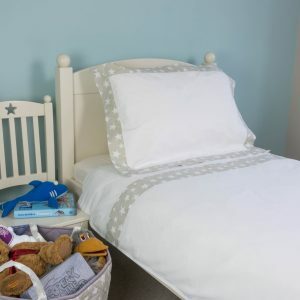 It looks at home in many rooms including nurseries, bedrooms, bathrooms and playrooms. 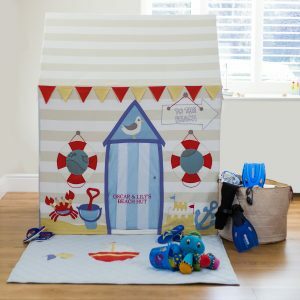 Unfortunately this product is currently out of stock and we don’t have a re-stocking date yet. 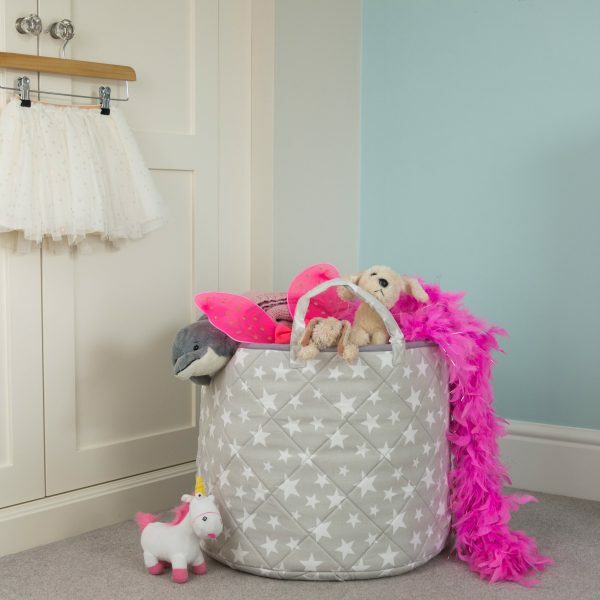 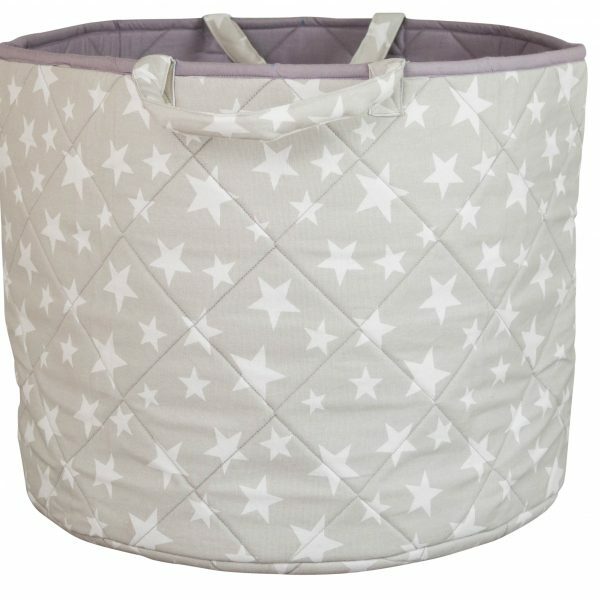 Our grey gingham toy basket is just as popular and may be worth considering as an alternative. 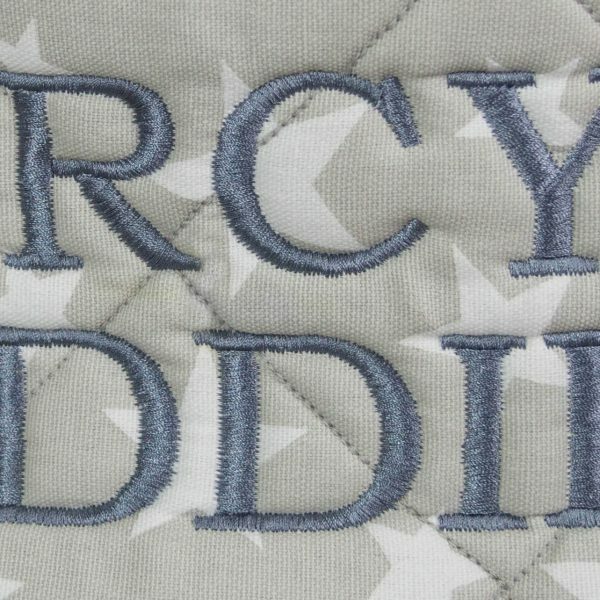 Make them extra special by personalising with a name or phrase of your choice. 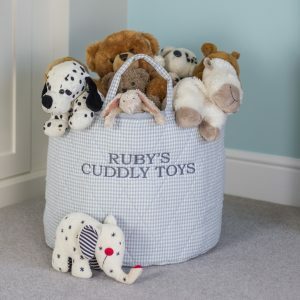 The phrase will be beautifully embroidered onto one side of the toy basket. 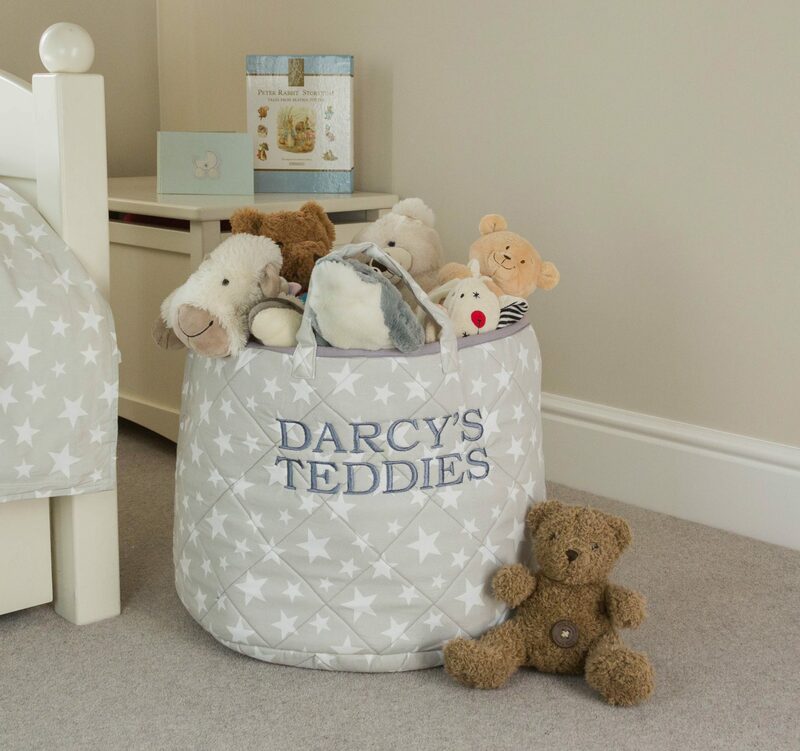 For example DARCY, DARCY’S BITS ‘N’ BOBS, DARCY’S TOYS, BABY DARCY. 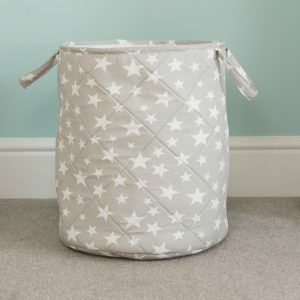 A striking grey star fabric on the outside is complemented by a plain grey lining on the inside. 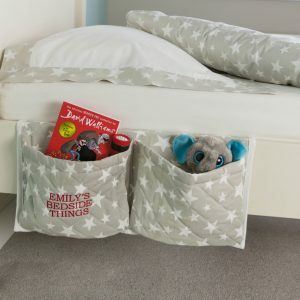 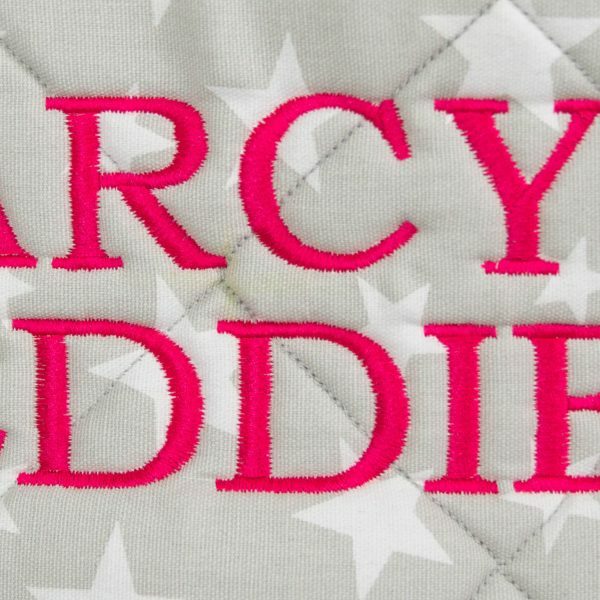 Perfect for nurseries, girls’ bedrooms or playrooms.